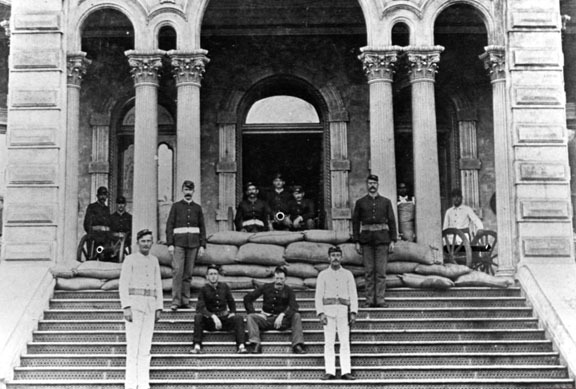 The Kingdom of Hawaii was overthrown on Jan. 17, 1893, after a group of 13 Caucasian businessmen and lawyers staged a coup d'état against Queen Liliuokalani and her government. The group called themselves the Committee of Safety — six citizens of the Kingdom and seven foreign residents of Hawaii (five Americans, one Scotsman, and one German). Their ultimate goal was annexation to the United States. It would be five years, however, until that goal was achieved. The plan to overtake Hawaii’s monarchy had been brewing for decades. It flared up during the reign of Queen Liliuokalani, Kalakaua’s sister who succeeded him as monarch on Jan. 29, 1891, after the king’s death. In early 1892, a secret group — the Annexation Club — was formed by Lorrin A. Thurston, a leading politician, lawyer, businessman and native-born citizen of the Kingdom. 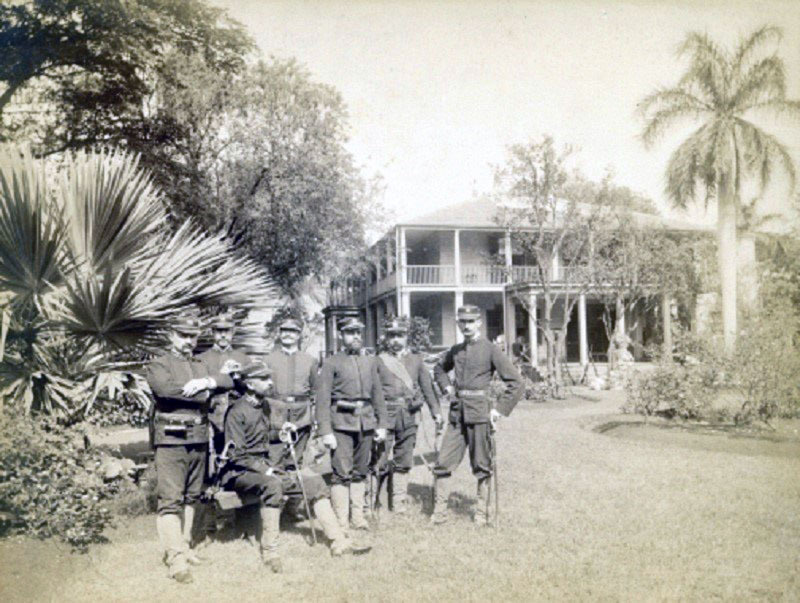 The club’s goal was to be ready to act if the queen carried out their worst fear – proposing a lenient constitution to replace the restrictive one forced on Kalakaua in 1887. That document, the Bayonet Constitution, had been authored by Thurston and it had severely limited the monarch’s power. 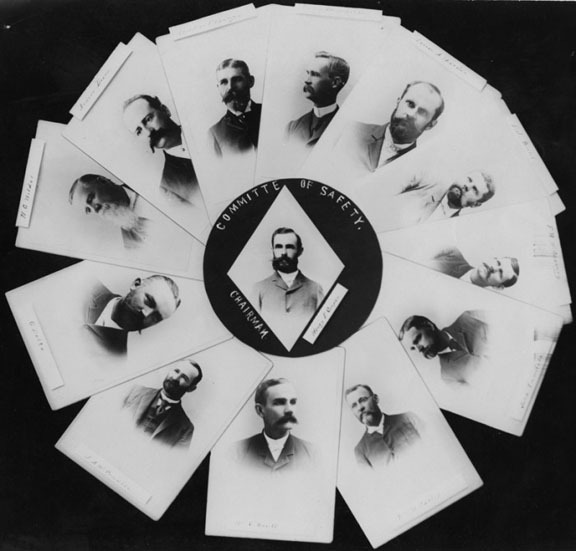 After much agitation and maneuvering on both sides of the political fence, on Jan. 14, 1893, the queen informed her Cabinet that she intended to propose a new constitution. The Annexation Club quickly learned of her plans and formed the Committee of Safety from among its members. They were able to gain the support of the US government minister John L. Stevens and Captain G. C. Wiltse of the USS Boston, the fully armed US warship anchored in Honolulu Harbor. The queen’s Cabinet refused to support her and any new constitution she offered. 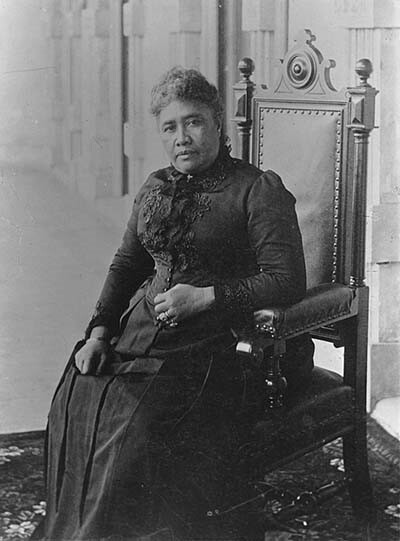 In an effort to ease tensions, Liliuokalani issued a proclamation that any changes she would seek to the constitution would be accomplished within the framework of the current one. But it was too late to turn back the rising tide of the businessmen who saw their opportunity to finally do away with the monarchy. On Jan. 16, 162 US sailors and marines were landed. The next day, the Committee of Safety issued their proclamation declaring martial law, deposing the queen, and establishing the Provisional Government until such time as union with the US could be attained. At the urging of her Cabinet, the queen surrendered her power to the US government and departed the Palace for her private home nearby. By midnight, almost all of the 17 foreign consuls in Honolulu had recognized the new government, including Stevens and Japanese Consul-General Saburo Fujii. The newly formed government immediately sent envoys to Washington DC to seek a treaty of annexation. Likewise, the Royalist faction sent envoys to plead the queen’s case. In the end, an annexation treaty was sent to Congress, but upon the inauguration of Grover Cleveland as US President in early March, the treaty was quickly withdrawn. Meanwhile, the Japanese Navy warship HIJM Naniwa, arrived in Honolulu on Feb. 23, 1893, to provide protection for Japanese citizens and express Japanese concern after the overthrow of the monarchy. The cruiser remained in Honolulu until May 11, 1893. In December 1893, President Cleveland criticized the involvement of American troops in the coup as a misuse of the power of the United States. Senate hearings followed, but Congress did not act to either restore the monarchy or annex Hawaii. With their goal of annexation stalled, the leaders of the Provisional Government decided to form themselves into the Republic of Hawaii. On July 2, 1894, their new constitution was ratified and Sanford B. Dole, who had been president of the Provisional Government, was endorsed as president for a six-year term. Dole, a Hawaiian citizen from a missionary family, was a cousin to James D. Dole, who would arrive in the islands from Boston in 1899 and develop the pineapple industry. The constitution of the Republic of Hawaii required voters to swear allegiance to the republic. Native Hawaiians refused, but foreigners who had sided with the overthrow were allowed to vote. Strict property and other requirements prevented most Hawaiians and all Asians from voting. The following month, a delegation of Royalists went to Washington again in an effort to convince Cleveland to restore Liliuokalani to the throne. It was too late, was the reply. The president had done all he could and turned the entire affair over to Congress, who continued to do nothing. The US had officially recognized the new government; there was nothing more to be done. 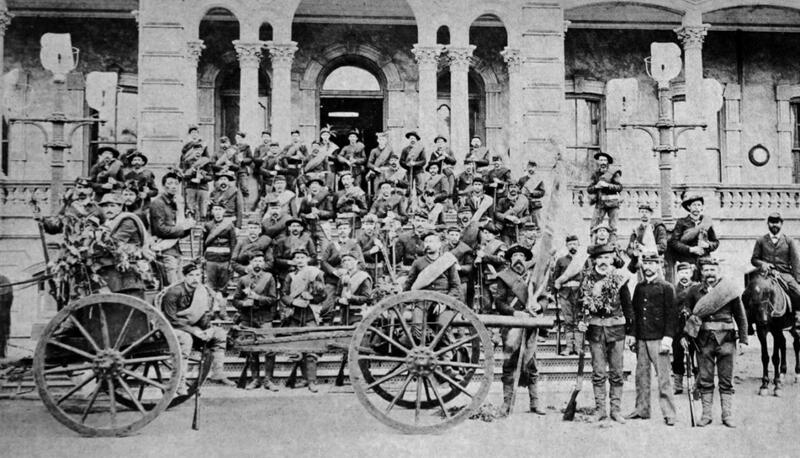 Realizing that their only hope was to take matters into their own hands, on Jan. 6, 1895, after months of planning, several hundred Native Hawaiians and other Royalists mounted a counterrevolution to restore the monarchy. However, due to lack of organization and government spies in their midst, within three days the attempt had failed. The insurgents were arrested and imprisoned. 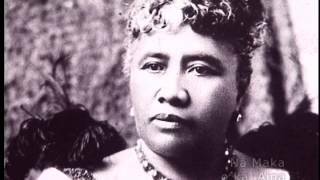 On Jan. 16, 1895, Liliuokalani was arrested at her private home, Washington Place, taken to her former Palace, now the capitol of the Republic of Hawaii, and imprisoned in an upstairs room. The next day a search of her home turned up a cache of arms and munitions buried in her garden. Subsequently, the queen was forced to sign a document of abdication on January 24, prompting her to write: "For myself, I would have chosen death rather than to have signed it; but it was represented to me that by my signing this paper all the persons who had been arrested, all my people now in trouble by reason of their love and loyalty toward me, would be immediately released." Several of the leaders were sentenced to death, while other Royalists received long prison sentences. Liliuokalani, initially charged with treason, was put on trial in her former throne room at Iolani Palace. She was found guilty of having knowledge of treason and failing to report it, although she flatly denied any knowledge of the attempt to restore the monarchy. She was sentenced to five years in prison, the upstairs room at the Palace. The queen was unexpectedly released on Sept. 6 and returned to her private home. After receiving a full pardon the following year, she went to Washington where she spent all of 1896 and half of 1897 unsuccessfully lobbying against annexation. In December 1897 Hawaiians submitted a petition to Congress with 21,269 signatures of citizens who opposed annexation and they unsuccessfully petitioned the Republic of Hawaii to put annexation to a public vote. Because of their efforts, the annexation treaty failed to achieve the required two-thirds vote in the U.S. Senate with only 46 yea votes. 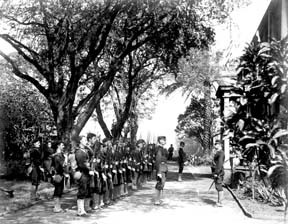 While the annexation treaty lingered in Congress, the Japanese government formally protested that annexation would adversely affect the rights of their citizens working on sugar plantations in Hawaii, in addition to upsetting the peace in the Pacific. And more Japanese laborers were being brought into Hawaii as sugar production was rising — thus fueling fears of the growing Japanese presence. Ultimately, annexationists prevailed after the Spanish-American War broke out in 1898. Hawaii became valuable to the United States after the US battleship Maine was destroyed in Cuba in February 1898, leading to the war. The United States suddenly regarded Hawaii as a valuable naval base and a strategic staging area for troops enroute to battles taking place in the Philippines. President McKinley, who had taken office a year earlier, was convinced that annexation was the best option — lest the growing Japanese population in Hawaii lead to Japan dominating the Pacific. 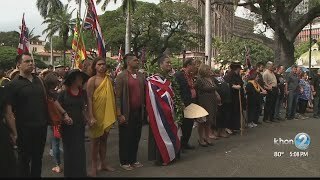 Pro-annexation forces in Congress submitted a proposal to annex the Republic of Hawaii by joint resolution, which required only a simple majority vote in both houses. 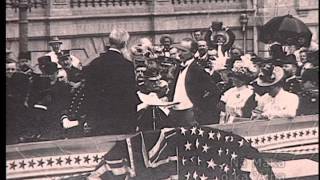 The resolution was signed into law by President McKinley on July 7, 1898. 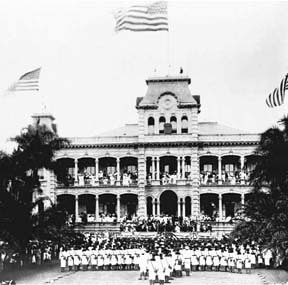 Hawaii was formally transferred to the United States during a ceremony at Iolani Palace on Aug. 12, 1898. 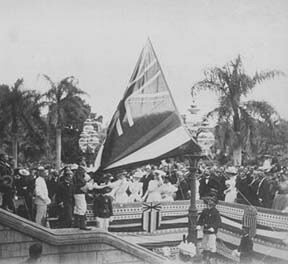 As the newly appointed governor of the Territory of Hawaii, Sanford Dole spoke as the Hawaiian flag was lowered with King Kalakaua’s composition and National Anthem, Hawaii Ponoi, playing the background, and then replaced by the American flag and The Star-Spangled Banner. The US Organic Act was signed by President McKinley on July 14, 1900. It provided the Territory of Hawaii with a government. This gave the government the legal grounds for declaring martial law and suspending the writ of habeas corpus following Japan's attack on Pearl Harbor in 1941. The United States extended the US Constitution to the islands and granted US citizenship for all citizens of the Republic of Hawaii who were residents at the time of the Organic Act. US law excluded Asian immigrants from becoming naturalized citizens, so Asian laborers were not granted citizenship — only their children could become citizens. The Act also extended to the Territory of Hawaii the Chinese Exclusion Act, which forbade Chinese immigration to the United States. Overthrow of monarchy by small group of businessmen who hope for annexation to US; they are aided by US sailors and marines from warship USS Boston. 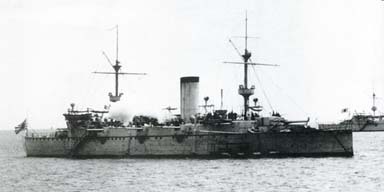 Japanese cruiser HIJM Naniwa visits Hawaii as a show of support for its citizens after the overthrow of the monarchy; departed Japan February 8 and arrived Honolulu February 23; stayed in Honolulu until May 11, 1893. 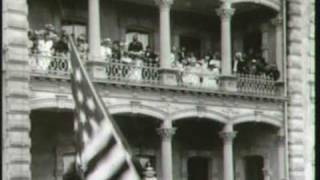 United States annexes Republic of Hawaii on July 7, 1898, when President William McKinley signed the Newlands Resolution. US Organic Act signed by President McKinley July 14, 1900, sets up Territory of Hawaii government, and also outlaws contract labor.